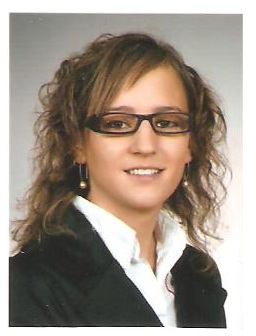 Her university is settled in Zaragoza, where Maria also works as Junior Consultant for a private company. Moreover, she spent one semester as Erasmus exchange student at DTU. During her time in Denmark, she met a lot of different people and she had the opportunity to get in touch with very different cultures. Maria first heard about the Summer of HPC program in her university where she attended classes of Computer Architecture and High Performance Computing developing a deep interest on these topics. She is majoring in Computer Architecture and her thesis deals with molecular dynamics and drug effects investigation. For the Summer of HPC program, she is going to spend two months in Dublin (Ireland) at the Irish Centre of High Performance Computing (ICHEC), profiling an hybrid Molecular Dynamics code that works on heterogeneous clusters. She is very thrilled to take part to the program since she already faced this subject in the past and she hopes to learn more from this experience in an international cutting-edge research environment. To spread the knowledge of High Performance Computer among students and young researchers, Maria proposes to use Social Networks like Facebook and Twitter to publish updates on the developments of our projects, major results and funny stories. After this experience, Maria would like to keep studying, attending a Master or a Ph.D. program in Computer Science in an international research centre. In the future, she would like to spend some time abroad working and she hopes to be able to travel knowing new places. Hence she hopes that her participation to the Summer of HPC program would help her for this purpose, letting her get in touch with people and professionals from different countries. This profile was written by Matteo Giacomini.